– Economic value is created. – Economic value is destroyed. The perceived tradeoff between the first two impacts is what drives the “forestry jobs versus environmental protection” debate. However the public discourse around the last two is more complex. We know there are frequently negative economic impacts due to harvesting. The tourism industry can be impacted. Recreation areas, and the growing number of commercial outdoor recreation operators, can be impacted for decades. Downstream, local taxpayers pay to clean up a water supply altered by upstream roads being built, the removal of protective vegetation (i.e. the forest), and the resulting faster spring melt. Curiously, especially in our real estate crazed world, the impact on local property values when clearcuts damage the viewscape or impact private water supplies is rarely factored into the economics. Social and lifestyle impacts may be the toughest to measure, but this is frequently the source of the most passionate and sustained local resistance to clearcutting. 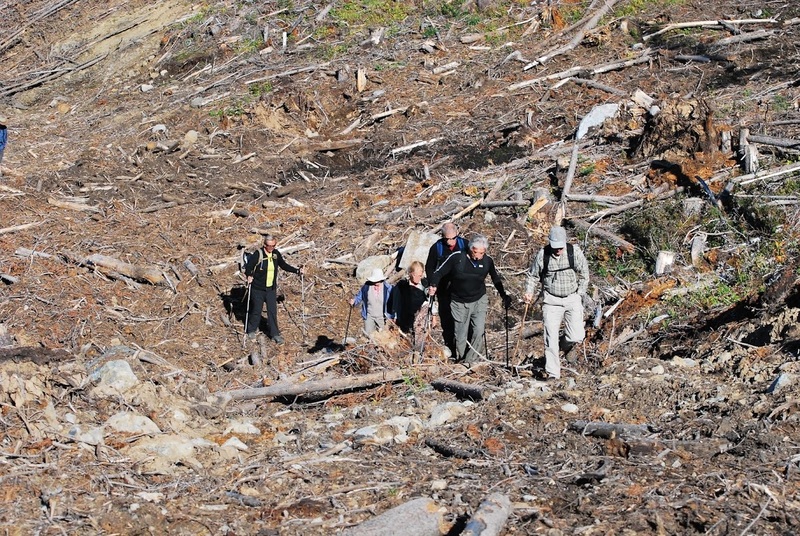 The people who live, work, and play in BC’s forests have an emotional, even visceral response when harvesting reduces or destroys the very reason they live in or near the forest. The full social value of BC’s forests isn’t plotted on a map, and it has second class status in FLNRO’s rules and regulations. So how can society ensure “sustainable forest management” fully integrates all the economic and social values? It has to include local knowledge, and not surprisingly, local knowledge of our forest’s full environmental, economic, and social value is found when you actually listen to the locals! Why does BCCFR have to lobby for something so obvious? Previous PostPrevious What’s a Roster?